I've been playing and enjoying music my whole life, starting with a classical education in Cello when I was 7. Since then, I've moved from instrument to instrument, through many styles. I've played Cello, Flute, Guitar, Bass, Double Bass, Drums, Keyboard, and Saxophone. 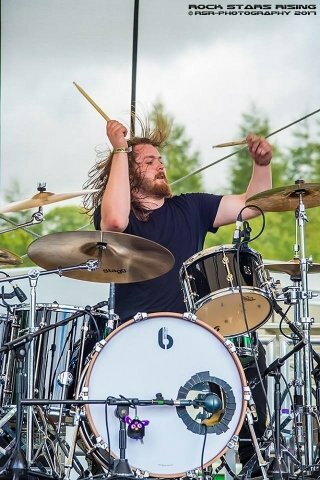 I'm also the drummer in hard rock band Fragile Things, based in Bristol. I've toured the UK, played hundreds of shows, been playlist on radio shows over the globe and been nominated for awards to recognise our music. Before this, I've been a session guitarist, drummer, keyboard player and bassist in many different bands. I've worked with an independent music service for a few years, working in primary schools teaching to groups and privately. Before this I was working for myself as a music tutor from my home in Brighton, East Sussex. Since then, I've moved to Bath and started my own teaching company, Rock Stage Academy. I work in schools and after schools teaching from ages 7 and up. Music should always be creative and fun. Without those two things, we wouldn't have the music that we all enjoy now. I like to ensure that every student of mine is able to play to a high ability and use all the skills we learn to be able to create their own music. Some choose to follow a more academic path, but I believe that the highest reward music can give is that of composition and performance. HugoFrom Brian (5/5): Fantastic! My son eagerly anticipates the lesson. Delivers lessons in my sons favoured style, enthusiastic, extremely competent in numerous music styles/ instruments, always on time. Would highly recommend. Reply from: Hugo: Many thanks Brian, always a pleasure!